Katy is a residential suburb, located on the far Western outskirts of the Greater Houston area. 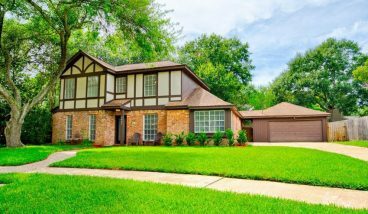 Known for its family-friendliness and beautiful real estate, Katy offers residents highly ranked schools via Katy ISD, easy access to I-10 and the Grand Parkway toll road, and a wide variety of amenities, including various parks, pools, recreation centers, shopping malls and dining options. Katy real estate ranges anywhere from $180,000 to upwards of $900,000, and builders are still developing the area. 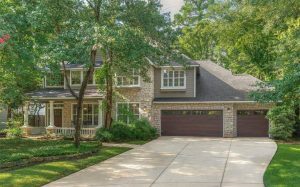 Homes for sale in Katy are spread across dozens of subdivisions and neighborhoods, including Bear Creek, Glencairn, Barkers, Settlers Village, Plantation Lakes, Williamsburg, Westlake, Waterstone and the Villages of Langham Creek. 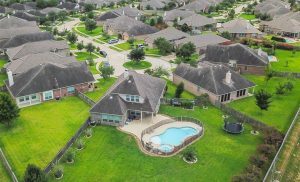 A mere 35-minute drive to downtown Houston, Katy offers easy access to all the big city has to offer, while still keeping its quaint suburban feel. Entertainment and activity options in Katy include Katy Mills Mall, the Katy Museum of Modern Arts, Typhoon Texas Waterpark and The Katy Boardwalk.